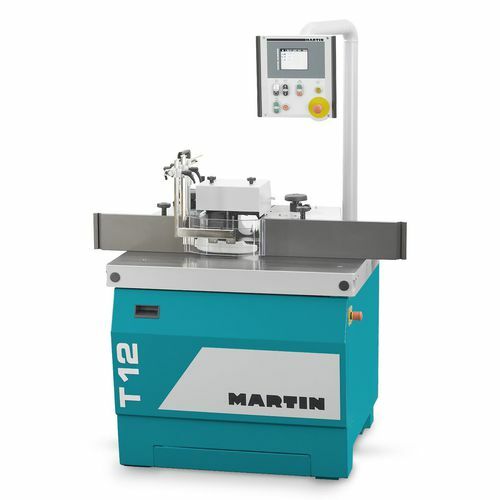 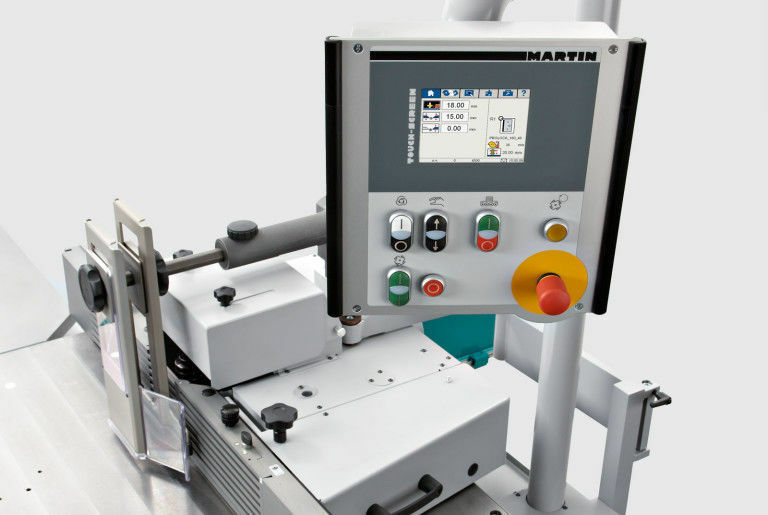 The control technology of the new T12 compact shaper is similar to MARTIN machines. 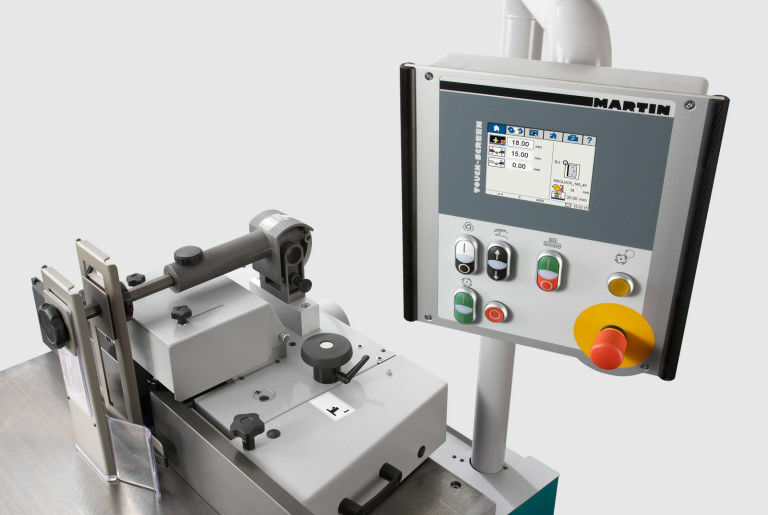 It is highly functional, and easy to operate. 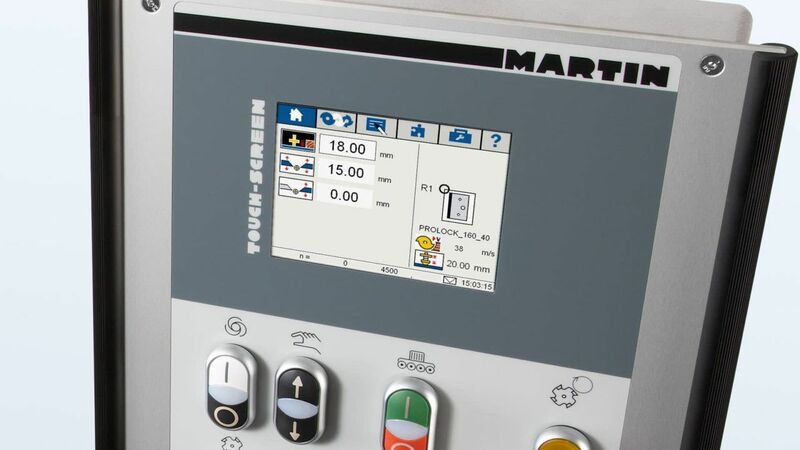 The modern Touch-Screen control system is positioned ergonomically at eye-level and helps to reduce set-up times markedly. 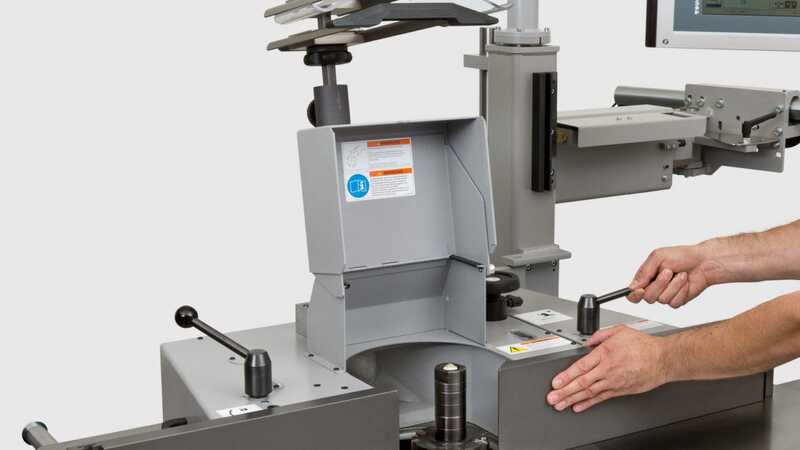 This allows the operator to comfortably adjust the cutting height via the touch-sensitive screen. Additional optional accessories can be added so that the "cutting depth (stop)" and the "cut (infeed jaw" axes can be integrated into the controls as well, making the T12 a 3-axis shaper.